The Molecular Clock is a novel way of interpreting random genetic mutations in every living creature – and deduce from them it’s evolutionary past. In this article, we explore the scientific & theoretical foundation of the Molecular Clock, as well as the implications it had on our understanding of our own collective – and personal – pasts. In the 1970s and 80s, an interesting academic dispute rose between two rival camps of scientists in the field of Paleoanthropology, the study of human evolution. The main question dealt with the theories of when and where the modern human, the Homo-Sapiens, appeared. Both sides agreed upon two main facts. The first was that fossils clearly show that the first humans appeared in Africa about a million and a half years ago. Their brain was relatively small, but their physical structure was similar to ours and they walked on two feet. This human creature, named Homo-Erectus, left Africa about a million years ago and spread around the world, from Asia to Europe; during that time the Homo-Erectus evolved and split into different species of humans, and among those species was the Neanderthal, who lived in Europe and the middle-East. The second agreed upon fact was that today there is no variety of humans. There is one only species, the Homo-Sapiens. All living human beings today belong to that species. The main question of the dispute was this: where did Homo-Sapiens come from, and what happened to the Neanderthals and the other human species that lived for a million years or more…yet no longer exist. Why are there Homo-Sapiens now, but no Neanderthals? Some of the scientists involved in this debate claimed that the Homo-Sapiens is a descendant of these different human kinds; that they mated and intermixed with each other during all those years, and that we are the result of this intermixture. This theory is called “Multiregional Origin of Modern humans,” since the intermixture took place in many areas around the globe – at the same time. For a long time scientists searched for answers under the ground, in fossils and bones – yet all this time the answer was hidden in the most unexpected place, yet the closest to us – our DNA. The story of the Molecular Clock begins in Paris, where Austrian Emile Zuckerkandl was studying biology. After completing his thesis, Zuckerkandle went looking for an academic position. His colleagues in the United States suggested he contact a famous scientist named Linus Pauling at Caltech, the well-known technology institute in California since they were conducting research on the same topics. At first, Emile didn’t even consider the suggestion. Linus Pauling was one of the most famous scientists in the world at the time. He made breakthrough discoveries in chemistry and nuclear medicine, he won two Nobel prizes – One of them a Nobel peace prize – due to his anti-war activity. Emile just couldn’t fathom that the renowned scientist would be interested in working with an anonymous and young researcher like him. But when Emile heard that Pauling was coming to Paris, he decided to seize the moment. He sent Pauling a letter, and the two scheduled to meet at a hotel. 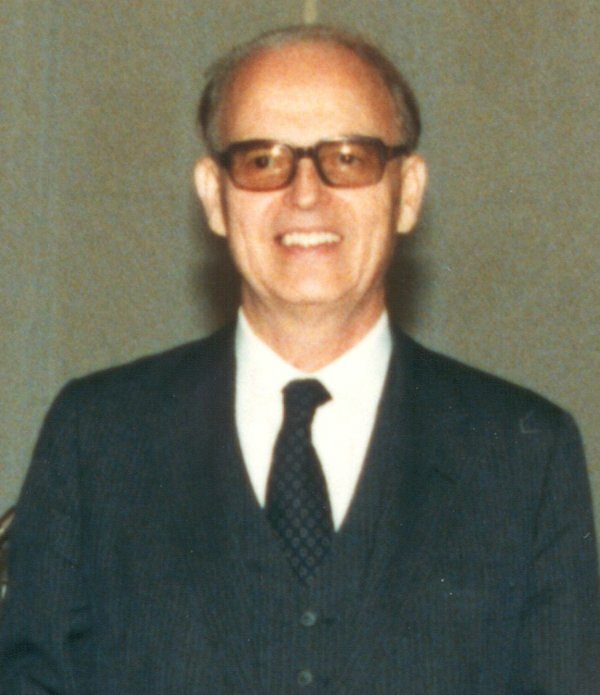 The meeting was a big success; it resulted in the American scientist Pauling inviting Emile to join him at Caltech, and in 1959 Emile Zuckerkandl and his wife arrived in California. Emile wasn’t happy with this recommendation. What is the point of researching a well-known and already-researched protein? Isn’t science all about discovering new things? If Pauling was wrong, Emile could find himself wasting years on useless research! Yes, Pauling was an experienced and intelligent scientist, but even he could make a mistake… But, Emile had come so far to work in Pauling’s lab, so he pretty much had to abide by Pauling’s “recommendation”. So Emile left the crabs behind and started working with hemoglobin. Two years later, in 1961, as Emile was about to publish his first significant paper, he offered to Pauling that they publish the paper together. Pauling was barely part of Emile’s research; in fact, during that time he was very involved in an anti-war activity and did relatively little scientific work. Still, Emile knew that even if Pauling’s contribution to the paper was minor, having his famous name next to Emile’s would greatly help promote his work. Hemoglobin – the protein that Emile Zuckerkandl was researching – can be found in many mammals. Every species has a slightly different and unique version of hemoglobin, much like a unique fingerprint in a human. Emile researched the differences between human hemoglobin and animal hemoglobin in order to learn about the evolution of every living species. For example, science teaches us that we and the horse used to share, millions of years ago, an ancestral father. An interesting question is – when and where humans and horses split from their mutual ancestral father. Before anything, we must understand how the unique variations of hemoglobin are created in each species. The “recipe” for making hemoglobin is in the DNA, and while this recipe stays the same between generations – every now and then a random mutation can occur. These mutations change the recipe slightly, creating a new variation of hemoglobin. Now, after humans and horses parted ways and split from their mutual ancestral father – their DNA mutated independently. These mutations accumulate over time, so that after many millions of years, human hemoglobin and horse hemoglobin contain many such differences – like two pairs of shoes that left the factory looking exactly the same, but after years of wear and tear with different users are now easily distinguishable. Since the accumulated difference depends on the length of time since the species split – it’s easy to see why human and ape hemoglobin, for example, are much more similar to each other than human and horse’s hemoglobin. On the surface, though, this sort of information does not reveal when, on a timeline, an evolution split happened. Mutations, by their nature, are completely random. By identifying three mutations on a certain DNA, who could say for sure whether these mutations happened during the last three million years, or perhaps only two, or ten? Emile’s brilliant idea was that one can treat these mutations as if they happen at a set pace. It is true that mutations are random, but they do follow some statistical rules. It is like rolling a dice: Every time you roll it, the number rolled is completely random, yet after throwing it dozens or hundreds of times, we know that all the numbers will be represented in the sample at roughly the same ratio. If a piece of DNA contains twelve mutations, and a mutation occurs roughly once every million years – one can assume that twelve million years had passed. This idea is the foundation of the Molecular Clock theory. The clock hands are the mutations that cause changes in a protein, and every change is a “tick” that moves the hand forward. The reset point of the clock, the moment when it starts ticking, is the moment when two species split from their mutual ancestral father – since as of that point they share no connection, and each of them develops different mutations. In order to use the Molecular Clock and calculate the pace of mutations occurrences in a certain species, researchers must calibrate it by using fossils and other techniques. In the case of horses, for example, the mutation pace is one mutation every 14.5 million years, on average. If we can identify 18 differences between human hemoglobin and the hemoglobin of horses, a simple calculation will reveal that our ancestral father lived about 130 million years ago. This technique actually allows researchers to draw an evolutionary tree of almost every creature on earth, based on their genetic data. Now that we understand the molecular clock and evolutionary tree, let’s get back to Emile Zuckerkandl and Linus Pauling in California. As time went by, Emile came to understand the wisdom behind Pauling’s advice to study hemoglobin when he first came to Caltech. The fact that the hemoglobin has been thoroughly researched by other scientists allowed Emile to easily identify the mutations he was looking for, and his colleagues were soon nodding in agreement with the validity of his findings. As the 1970s came around, Molecular biologists had developed better instruments to investigate protein and DNA, which significantly improved their research. Yet, evolutionary dating using a Molecular Clock still wasn’t an accepted technique amongst researchers. The reason was that calibrating the clock was a difficult, complicated process, with the potential to be, well, wrong. The pace of mutations can vary a lot from one species to another, and even between one gene to another in the same species. Among birds, for example, these changes occur at a fast pace; while among turtles, the pace of mutations is very slow. Without knowing how fast the Molecular Clock is going in regards to its subject, every estimate of time is nothing but a guess. A researcher who wishes to use the Molecular Clock must go above and beyond in order to prove that he calibrated the clock in a credible way, based on objective findings, like fossils. The Molecular Clock’s credibility rose in the 1970s due to the work of Allan Wilson, a scientist from New Zealand. Wilson used Zukercandle’s ideas to show that humans and apes split ways on the evolutionary road ‘only’ 3 to 5 million years ago – and not 10 or 20 million years ago, as was the accepted theory. Wilson’s claims were later confirmed by fossil discoveries in Africa. That wasn’t the moment of glory for the Molecular Clock, though. Its greatest success has to do with the initial question we asked at the top of this episode: where did the Homo Sapiens come from? Rebecca Cann graduated in genetic studies from Berkeley University in California in 1972. Genetics was still a young and fascinating field, and Rebecca was enthusiastically researching the connections between human genetics and their behavior. But then, after her graduation, reality hit. The technology used to map DNA and reveal its secrets was still in its infancy, and Rebecca envisioned herself spending long years in a lab with flies and mice, instead of with people… She decided to leave the academy and found a job as a lab technician in a big pharmaceutical company. Yet her natural curiosity was still burning. The lab where Rebecca worked was located near the mailroom of the pharmaceutical factory, which allowed her to get a glimpse of the professional magazines addressed to the company’s scientists. Through articles she read in these magazines, Rebecca was exposed to new techniques developed in genetics research, and their huge potential. In 1974, Rebecca decided it was time to go back to the academy, and found herself in Alan Wilson’s lab–remember, he was the guy promoting the concept of the molecular clock. Through Wilson, Rebecca Cann was exposed to the idea of the Molecular Clock. The key to using the Molecular Clock technique is to choose a relatively stable molecule, a molecule lacking many changes. In a molecule like that, every mutation will be easy to spot and locate, like a color stain on a black tie. Hemoglobin seemed to be a perfect candidate since it is vital to the body, and vital molecules tend to change at a relatively slower rate than the less important ones. Our DNA is another vital molecule – but unlike hemoglobin, DNA is under constant change. Every time an egg and a sperm unite, a new fetus – with a new and unique DNA – is created, a result of a random intermixture of its parents’ genes. In such a rapidly changing molecule, identifying random mutations is rather difficult. Luckily for Rebecca Cann, not all of our DNA changes so rapidly. The majority of our DNA is located in the Cell’s nucleus – but not all of it! Our body’s cells also contain organelles called mitochondria. You may remember from school biology class that mitochondria were called the “powerhouse of the cell”. Mitochondria consists of up to thousands of tiny bodies, enclosed in their own membranes, that float inside the cell. Mitochondria have their own DNA and some unique characteristics that make scientists believe that mitochondria started as an ordinary bacteria. The common hypothesis is that billions of years ago, far away in the mist of time, a mitochondrion bacteria was swallowed by a cell – but instead of being digested, as usual, it managed to establish symbiotic relations with its host. Basically, they lived together. The Mitochondria bacteria supplied energy to the host cell – and in return, the cell supplied it with vital nutrients. This symbiosis was so successful that today one can find mitochondria in almost every living creature – from seaweed to human beings. The mitochondria’s independent past resulted in a breeding process that’s very different than that of Humans. Mitochondria have no division between male and female; instead, every mitochondrion is split into two equal halves – just like bacteria – and as a result, two identical copies of the mitochondrial DNA are created. The fact that mitochondrial DNA gets replicated makes it a perfect candidate for implementing the Molecular Clock technique, since its DNA is a stable and unchangeable molecule, except for random mutations. The mitochondria in our bodies have another unique characteristic that interested Cann… A baby receives its mitochondria only from the mother. After the fertilization is done, all the mitochondria in the sperm get destroyed, so one can say with almost complete confidence that all the mitochondria in his or her body were passed on from the mother. This fact allowed Rebecca Cann to draw a human evolutionary tree – based on the Molecular Clock of mutations in the mitochondrial DNA passed over the generations from mother to daughter to daughter, and so on. It is the exact same idea that allowed scientists to draw the evolutionary tree of Horses, Apes and Early humans. Each female mitochondrial DNA has a unique ‘fingerprint’ of mutations, which is similar to other women who are her close relatives – but different from women who are not. Although her research seemed to be promising – Cann hesitated whether she should publish it or not. The Molecular Clock technique was still regarded as unreliable, and Cann felt she didn’t have enough mitochondrial DNA samples from women all over the world. Luckily for Cann, in 1982 a young scientist named Mark Stoneking joined Wilson’s lab, and he managed to get mitochondrial DNA samples from around the globe. Those samples supported Cann’s primary research, and in 1987, after many hesitations, doubts, and more than 40 drafts, Cann, Stoneking, and Wilson published a paper explaining their findings. Despite all hesitations and doubts, despite the calculated and careful years of scientific work that led to the published paper, Rebecca Cann wasn’t prepared for what followed. Reports on the discovery of “Mitochondrial Eve” appeared in the media across the world, and Cann was thrown into the emotional and intense debate between supporters of Evolution – and Creationists who took the stories in the Bible as literal truth. Interestingly enough, though, Cann’s discovery was actually embraced by some of the creationists – who mistook ‘Mitochondrial Eve’ to be the same as the Biblical Eve. And if Biblical Eve did exist – than science just proved the stories in the book of Genesis! This claim is completely wrong, of course. It is easy to make the mistake of thinking that since Mitochondrial Eve is our mutual ancestral mother – she must also be our only mother. And she definitely wasn’t: Eve was just one of many women who lived in Africa 200,000 years ago, and all, or almost all of these women, are our ancestors too. Think of it this way: It is true that we are descendants of Eve, but that lineage is a very specific lineage: from our mother’s side, and her mother, and her mother before her, etc. We all have other ancestors, from other lineages: say, from our father, and his mother and her father before her, and so on and so on. Mitochondrial Eve’s uniqueness is in the fact that she was lucky enough to have an unbroken lineage of daughters: that is, her daughter had a daughter, which had a daughter, and so on until our time – some 100,000 years later. That’s some luck. Rebecca Cann’s paper also got a harsh welcome from many of her colleagues in the scientific community – mainly because of its implications on the debate about the origins of Homo-Sapiens. As you may recall, there were two competing theories about homo sapiens: the first, Multiregional Origin of Modern Humans, claimed that the different human species merge into each other and became one single Homo-Sapiens. The other theory, Out of Africa, claimed that the Homo-Sapiens appeared in Africa, left, and replaced all other human kinds, making them extinct. Well, if Rebecca Cann was right, and Mitochondrial Eve – our mutual ancestral mother – lived in Africa about 100 -200,000 years ago, then the Out of Africa theory is clearly correct. Otherwise, the ancestral mother should have lived about a million years ago, in the pre-split era. But the Multiregional Origin of Modern Humans was an established theory, and many scientists weren’t ready to abandon it. Here’s Cann. But over the years, resistance to the Out of Africa theory weakened, as more and more scientists came to accept the genetic evidence for the African origin of Homo-Sapiens. With each passing year, improved techniques and many thousands of new DNA samples confirm Cann’s discovery. So, The Molecular Clock provides an answer to the mystery of Homo-Sapiens’ origins. It now seems likely that some 100,000 years ago, a new and improved species of Man appeared in Africa and later drove out the now-extinct other human species, whether by force or by competition for resources. But our story is not done yet. In fact, it is only half of it. We’ve talked about Mitochondrial Eve, but what about men? Do men have a genetic component that can provide information about their past? The answer is yes, but what this new component can reveal might be…quite disturbing. Spencer Wells was born in Georgia, in 1969. He studied Biology, and when he obtained his Ph.D. from Harvard University, he was faced with a decision: which professional field would he focus his research on? He wasn’t very excited by what he found were his options: Most of them included tedious lab work and rummaging in the DNA of flies and worms. As a child, Wells had always been interested in science, he was a big fan of history and an adventurer. What he wanted was a way he could combine his love for genetics, history, and evolution – into one package. Luckily for him, a perfect opportunity presented itself. In the 1980’s and early 90’s, Geneticists were studying DNA samples from people around the world. These samples played an important role in a lot of scientific research, from Medicine to the study of human evolution. But it’s important to note that the majority of these studied DNA samples were taken from European and American people since these populations were relatively easily accessible to scientists. Other parts of the world, however, were in relative ‘Genetic Darkness’. Many places in Central Asia, in the former Soviet countries of Uzbekistan, Kyrgyzstan, and Kazakhstan, were relatively difficult for scientists to reach. The lack of advanced infrastructure and language barriers kept researchers away, and as a result, almost no DNA samples were ever taken from local indigenous populations – people whose families had lived in Central Asia for centuries. For Spencer Wells, this was a golden opportunity to promote the science of genetics while satisfying his natural sense of adventure. In 1996 he sent letters to American embassies in the central Asian countries and asked for their help in finding local scientists who were interested in collecting DNA samples. A while later, he was contacted by Ruslan Ruzibakeiv, manager of the Immune System Research Center at the Academy of Science of Uzbekistan. Ruslan invited Wells to visit the center and offered to help with collecting samples from the locals. Wells packed a large suitcase, invited a friend who thought it would be interesting to tag along, and left for Tashkent. Their journey was the beginning of a scientific investigation that would shine a new and disturbing light on one of the most ruthless emperors in history: Genghis Khan. Khan’s Mongol armies were infamous for decimating entire cities and killing millions of male soldiers and civilians – but now, Wells’ research could unearth clues about the fate of Khan’s female victims as well. Spencer Wells and his friend met Ruslan Ruzibakeiv at the Tashkent airport. Two hours and a few shots of vodka later, they were in his research center, getting their equipment ready for the expedition. Wells traveled from one village to another, met local leaders, and asked for their assistance in convincing the locals to allow him to draw blood samples. To Wells’ amazement, he was welcomed with open arms by the locals. He soon discovered that many of the people he met in those small, isolated villages were eager to learn more about their family’s history, and of the history of their nation. People who live in small communities, as Wells discovered, tend to respect ancient traditions and family heritage, and some of the locals could trace their ancestry up to eight generations back. This attitude, along with the fact that Wells gave free beer to blood donors – well, it was a local variant of beer, made from horse milk – this assured the success of his sample collection. A few weeks later, Wells returned to the US and analyzed the samples he’d collected. He soon realized that the 550 DNA samples he collected weren’t enough: the area he traveled through was relatively small, and did not adequately represent the Uzbek population. He knew that in order to extract meaningful conclusions from the samples, he would need to collect much more. In other words, he’d have to go, once again, on a road trip to the magical scenery, serene villages and ancient cultures of Central Asia, where he would be forced to drink local alcohol and eat exotic foods. It is not always easy being a scientist. So Wells returned to his maps and planned the 2nd expedition. This time, however, he needed sponsors, since this journey was going to more expensive than the first. Remember, we are talking about the 1990s, the early days of the Internet–some companies and organizations were trying to gain some presence on the young World Wide Web. The BBC, for example, agreed to sponsor the expedition in return for Wells writing a journal of his travels on its website…a blog, you could say. Land Rover provided his crew with a jeep, and Virgin Atlantic agreed to fly all the scientific equipment overseas at no cost. So, in 1998, Wells and four other men hopped in a jeep in London and drove all the way to Central Asia. For six months they traveled to remote villages in Uzbekistan, Kazakhstan, and Azerbaijan, and collected some two thousand DNA samples. It was the adventure Wells always dreamt of. He met with many local people, drank lots of Vodka, and even crashed the car once. As it turned out, this expedition helped Wells start the career he wished for. He joined the National Geographic Society and led scientific expeditions to Chad, Afghanistan, and more than one hundred other countries. The Central Asia expedition was only the first part of Wells’ scientific journey. While in Uzbekistan, an Italian Scientist named Tatiana Zerjal joined Wells and spent a month traveling with the crew, going from village to village and taking blood samples from the locals. When she returned to the West, Tatiana analyzed the DNA samples in her lab. In her research, she’d focused on a very specific component of the human DNA: the Y chromosome. In the previous part, we talked about the Molecular Clock technique – which allows scientists to map evolutionary changes in living creatures by comparing slight mutations in the DNA over long stretches of time. We also learned how Rebecca Cann used this same technique to prove the existence of a female in Africa, some 150,000 years ago, which was the ancestral mother of all living humans today. The key to Cann’s success was using the DNA found in Mitochondria in women since in women the mitochondrial DNA passes unchanged from one generation to the next. It turns out that men have their own equivalent to mitochondrial DNA – and that is the Y chromosome. In every human cell, except the egg and the sperm cells, there are 46 chromosomes. Each of them is a tightly sealed package of DNA, wrapped around itself. The DNA in the chromosomes determines all of our genetic characteristics, while only two specific chromosomes determine our gender: the X chromosome and Y chromosome. If a fetus has an X chromosome, then it will develop into a female, and if it has a Y chromosome, it will develop into a male. During the fertilization process, the fetus receives 23 chromosomes from its mother, and 23 from its father. It’s a random mix, so you can’t really tell which chromosome came from the father and which from the mother. All except the Y chromosome – since this chromosome comes solely from the father. In other words, If Luke Skywalker is a man – and he certainly is – it’s because he received a Y chromosome from Darth Vader, his father , who received it from his father, and so on and so on. Since the Y chromosome is passed unchanged from father to son across the generations, it’s suitable for use with the Molecular Clock technique. One can take Y-Chromosome samples from the DNA of two men, and compare the mutations present in each one. If the two men have roughly the same mutations – they are probably closely related to one another. If they have very different mutations, this means their common ancestral father lived farther back in time. In fact, using this knowledge, scientists were able to show that alongside ‘Mitochondrial Eve’, who was the ancestral mother of all living humans – there was also ‘Y-chromosome Adam’, who is the ancestral father of all living men. Y-chromosome Adam lived in Africa some fifty thousand to three hundred thousand years ago. As is the case with Mitochondrial Eve, this Adam was not our only ancestral father: there were many other men around at his time. Adam was simply lucky in the sense that all of his sons had male sons, who had male sons of their own and so on, until the present time – although being a father to two very energetic sons myself, I hesitate to call that ‘luck’. And in case you were wondering – no, mitochondrial Eve and Y Chromosome Adam did not live together. They might not even have existed at the same time. Back to Tatiana Zerjal and the collected samples from Central Asia. Previous genetic research performed in Europe showed that the European population is made of a relatively high number of dynasties, with relatively little blood relations between those dynasties. Tatiana expected to find the same results from the samples she gathered with Spencer Wells. To her surprise, sample after sample revealed the same mutation structure – the same genetic “fingerprint” – in all male Y chromosomes. But that was very strange. If these results are correct, then 16 million men living in Central Asia today have a common forefather who lived about a thousand years ago – and that is nearly impossible. An average European man who lived in the middle Ages has, by now, about 800 living descendants. 16 million men are much, much more than 800. 16 million is roughly 0.5% of the number of men in the whole world. How can one man – even a successful one, in reproduction terms – have so many decedents? As Tatiana continued her analysis, the result remained the same: The reoccurring genetic signature forced her to believe that all these men actually share a mystery ancestral father who lived about a thousand years ago. Tatiana took a map and started marking the places where she and Wells collected DNA samples. As she completed the marking, she took a step back and looked at the map. Even though she wasn’t much of a historian, she immediately realized what she was looking at. In 1162, in northern Mongolia, a baby named Temujin was born to the tribe of Borjigin. At the time, the Mongolian nation was a divided into many tribes who fought constantly with each other, trying to gain control over the living areas in Central Asia. Temujin grew up to be a fearless army leader, the only one who succeeded in uniting all the disputed tribes under his authority. The Mongolian army destroyed every enemy that dared rise against it, forming one of the greatest empires the world had ever seen: from China in the East to Europe in the West. Temujin received the title of “Genghis Khan” – the greatest of rulers, or: the ruler of the universe. The markings on Tatiana’s map perfectly matched the borders of the Mongolian kingdom. But no one can say for sure if the genetic fingerprint Tatiana identified in the Y chromosomes did belong to the Great Khan. Until we locate the Khan’s grave, extract a DNA sample from his bones and compare his Y chromosome to those from the samples – we can only rely on educated guesses. But, assuming that Genghis Khan did spread his genetics so generously around Asia, how can it be that a thousand years later there are still so many men who are carrying his genes? One option is that the mutation that the Khan gave his descendants is in some way beneficial for them; therefore many of them survived the natural selection that “thins out” those with less fortunate genes. Yet this is clearly not the case here: The mutation structure revealed in the Y chromosome has no unique survival value; therefore it is improbable that those who carried it had any real advantage over those who did not. The second option, more probable yet certainly more disturbing, is that where natural selection does not apply – a cultural selection does. Genghis Khan was known as a cruel ruler who never hesitated before destroying whole cities and decapitating their inhabitants, should they dare rebel against him. He was responsible for the death of about forty million people–half or more of those were men. This industrial-scale killing, along with many rapes, could have created the current situation where Genghis Khan’s genetic inheritance is common in the territories of the Mongol empire more than any other genetic dynasty. He basically wiped out entire populations of men and raped many women, which resulted in even more Khan descendants. Tatiana Zerjal’s research is a prime example of how the data stored in our DNA has the potential to expose interesting facts about our collective past. The question is – do we always want to know? The Kohanim gene is a very interesting example of how using the Y chromosome to assign someone to a certain ethnic group – doesn’t always work the way you think it would. According to the Old Testament, when the Israelites who left Egypt built their first holy temple in Jerusalem – the priests in that temple all came from one single family: that of the Kohanim. The Kohanim – which were all men, of course – were all descendants of Aaron, who was Moses’ brother and played a big role in the story of the Israelites’ Exodus from Egypt. The Temple was eventually destroyed, but the Kohanim still play a significant role in today’s Judaism. They have some important ceremonial duties in synagogues, and many Jewish men take pride in their Kohanim lineage. Remember Spock’s salute in “Star Trek”, the one where he spreads his fingers into a V shape? That’s actually the traditional Kohanim blessing. Dr. Karl Skorecki was Canadian and Jewish – and a Kohen. In the 1990’s, he used to pray in a small synagogue in Toronto. As I mentioned earlier, the Kohanim have some ceremonial duties, and at some point, the Rabbi who led the prayer asked for a Kohen to step up to the central platform. As Dr. Skorecki was rising from his chair, he noticed that another Kohen preceded him and stepped onto the platform first. Skorecki returned to his seat, but as he did so, an interesting thought occurred to him. Initially, in the time of the Old Testament, all Jewish people belonged to the same ethnic group. But some thousand years ago this group split into two separate populations: the Ashkenazi Jews and the Sephardic Jews. They were still all Jews, of course, but there were some differences in tradition, prayers, etc. The most visible difference between Ashkenazi and Sephardic Jews was their skin color. The Ashkenazi, who lived in Europe, had fair skin. The Sephardi, who lived in Spain and Africa, had darker skin. Skorecki was of Ashkenazi descent, so he had fair skin. The other Kohen, the guy who beat him to the platform, was obviously Sfardi: he was short and dark skinned. Still, they were both Kohanim – that is, both belonged to the same ancient family of priests. Skorecki asked himself whether he and the other man could truly be descendants of the same family, in spite of their physical differences. Can it be that over time the separation between the Kohanim family and rest of the Jewish population got somewhat blurred so that some who see themselves as Kohanim are actually ‘regular’, non-priestly Jews? Or maybe, god forbid, there never was a distinguished priesthood family – and the biblical story is nothing but a myth?! A few years later, Dr. Karl Skorecki immigrated to Israel. The troubling question about the Kohanim kept pulling at his curiosity, and when he came across the modern techniques of Y chromosome analysis – he seized the chance. He joined several geneticists, and together they examined the Y chromosomes of some 160 Jewish Kohanim from around the world. The results of the research were published in 1997 – and immediately struck a deep chord with many religious Jews. Dr. Skorecki – by then a Professor – discovered that 50 to 60% of the Kohanim share the same genetic ‘fingerprint’ and that this fingerprint actually appears in both Ashkenazi Jews and Sephardi Jews. In other words, it is highly likely that many of these men share the same ancestral father, who lived approximately 106 generations ago. Is that ancestral father Aaron, Moses’s brother? It’s impossible to tell for sure, of course. But if one assumes that the average generation is thirty years, the resulting calculation is 3,180 years ago, which is 1165 BC. That’s not very far, relatively speaking, from when Aaron is supposed to have lived according to the Old Testament: roughly 1200 to 1600 BC. But, let’s put dreams aside and reality aside. First, it is obvious that the figure of thirty years per generation is an arbitrary number. If we assume, for example, that each generation is only 25 years, then the ancestral father of Jewish priests lived about 2600 years ago, which is hundreds of years after Aaron’s time. Even more troubling were the results of further investigations, done after Skorecki’s initial research. It turns out that the unique genetic fingerprint of the Kohanim family – is actually two different fingerprints – or, to be more exact – two different variations of the same signature. Most of the Kohanim Jews carry a genetic variation named J1, while others carry the version J2. What this means is that some of the Kohanim – roughly fifteen percent – have a common ancestral father, which is different from the ancestral father of the other Kohanim group. In other words, there is not one, but two hypothetical Aarons… Which of the two Aarons is the ‘real’ Aaron, if one even existed? Finally, it was shown that the unique genetic fingerprint of the Jewish Kohanim is also present in other ethnic groups – groups which have nothing to do, genetically speaking, with the Jewish people: From Yemenites to Kurds, to Armenians. The bottom line, then, is that the existence of the unique Kohanim fingerprint in someone’s Y chromosome tells us nothing about his being or not being a part of this priestly family. In fact, he might not be even Jewish at all! In my case, I did some genetic testing – and it turns out I don’t have any of the two fingerprints unique to the Kohanim. So, what does that say about me? Am I no a ‘real’ Kohen? I might still be, but I’m not so sure anymore. Luckily, I don’t care that much – but there are many who would find these kinds of news very disturbing. So ironically, instead of uniting Jewish people under the umbrella of a common tradition, these findings can weaken ancestral bonds and create division among people. After all, where we once had one Kohanim family – we now seem to have two such families. Which of them is the ‘real’ holy family? Do we even want to find out? Yet genetic analysis also has the potential to show us how closely related, in the genetic sense, we all are. In 2004 an American mathematician named Joseph Chang published an article where he attempted to answer the following question: When did our closest ancestral parent – man or woman – live? We are not referring to Mitochondrial Eve or Y-chromosome Adam. Their lineages passed through very specific lines: from mother to daughter, and from father to son. Chang was looking for our closest ancestral parent via any lineage, be it my mother’s fathers’ mother, and your father’s father’s mother. In order to get to the answer, Chang created an abstract mathematical model of the human population. The model assumes that there are no more isolated populations on Earth: that is, there are no isolated tribes that never had any contact with the outside world. Under that assumption, Chang came to the conclusion that the common ancestral parent to all humanity lived about… two thousand years ago, more or less. Let me say that again. Our ancestral parent – mine, yours, everyone in the whole world – lived only about two thousand years ago. In historical terms, this is like a blink of the eye! Even under the most severe assumptions of cultural and geographical isolation, Chang’s mathematical model predicts that our common ancestral parent may have lived up to four thousand years ago. On first glance, Chang’s result doesn’t seem plausible. How can an Inuit in the frozen north share any relatively recent blood relations with a Zulu warrior from Africa? How can a Chinese woman, whose family never left Asia, be related to a Native American? The answer lies in the European expansion of the last 500 years. In the last few centuries, the Europeans had sent explorers, settlers, and missionaries to almost all corners of the world. The blood ties that these European explorers created with local populations all over the globe are the ties that unite us today, in genetic terms. So, what is the meaning of all this? Is the Molecular Clock technique of using DNA to figure out how we are related good for us, or is it bad? As is often the case with any new scientific discovery, the Molecular Clock has no inherent tendency towards one end of the moral spectrum or the other. Its usage is up to us. One could use Y chromosome analysis to emphasize the differences between ethnic groups of people, divide us into finer and finer sects and groups, which will quarrel and fight amongst ourselves, as groups often do. Alternately, one could use the same idea to emphasize the things that bring us together as humans. After all, we are all related to one another through a not-so-distant ancestral mother or father. In a literal sense, we are all one big family. From this point of view, the differences between us are nothing compared to our similarities. It is all a matter of perspective.